NEW PRICE! Pride in ownership is apparent as this meticulously maintained town home in the golf community of Heather Ridge South offers carefree, low maintenance living. 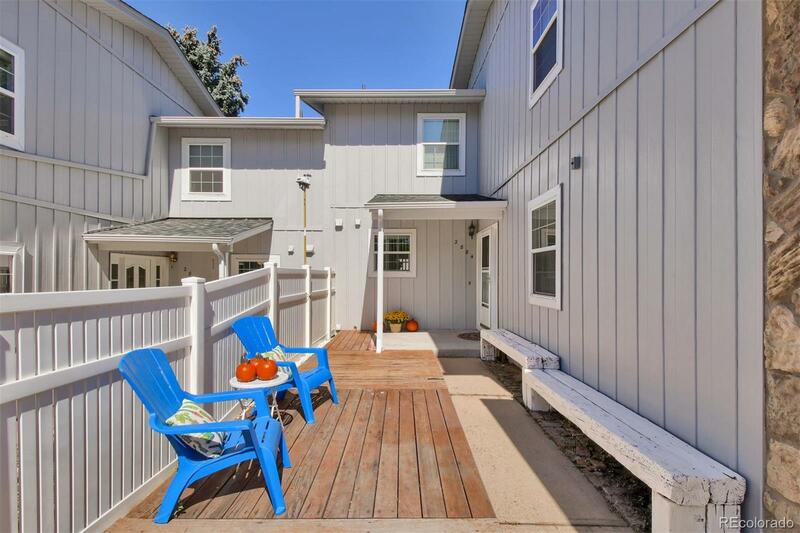 Prime location just minutes from I-225 & Parker Road, RTD light rail, Cherry Creek Reservoir, parks, trails and pool will have you saying "write an offer" the minute you drive into this quiet community. Special features include 3 bedrooms (all up), 2.5 bathrooms, 2 car garage, eat-in kitchen with new flooring, French Doors lead into dining/living room combo, vaulted ceilings, natural light, gas fireplace, master bedroom with bathroom suite and walk-in closet, large guest bedrooms, front and back private patios, huge unfinished e perfect canvas to finish and make your own. Cherry Creek School District.